Middle graders are sure to get caught up in the magic of The Oldenglen Chronicles. At home in the lush forests of southwestern Oregon, Jax understands better than most that survival can often be violent and harsh for the wild creatures roaming there. 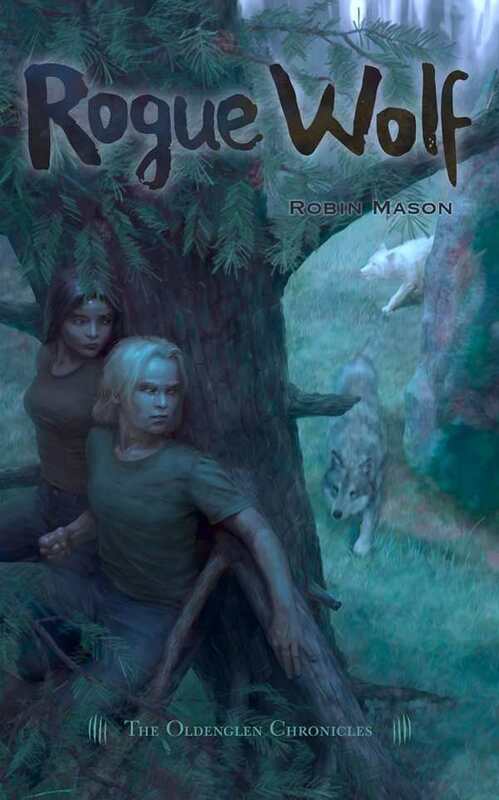 But he recognizes the unnatural threat when a group of fierce predators takes over in Rogue Wolf, Book 3 in Robin Mason’s dynamic middle-grade series, The Oldenglen Chronicles. Now that spring break has arrived, seventh-grader Jax is excited about exploring the woods with his best friend, Sarah Lopez. Their plans change when a large wolf pack decides to claim as their territory the magical heart of Oldenglen, the Gladestone, causing a chain reaction so alarming that all of the animals, big and small, must band together to protect the future of the glen. Set mostly in the outdoors and focusing on the plight of the winged, furred, and flippered, modern technology such as texting, tracking tags, and video chatting in the woods adds a thoroughly modern element, although the stellar reception quality may have many clamoring to switch to Jax’s service provider. A veritable encyclopedia of animals native to Oregon, the wingfolk, waterfolk, and woodfolk all stay true to character, maintaining many traits of their species with the addition of some imaginative personality quirks and speech patterns. Each gathering seems to expand in number as danger escalates: “Indeed, Jackson thought, a coyote, a fox, a badger, an owl, and a human would be an odd collection anywhere.” Ornithology enthusiasts will be especially pleased with the variety of blue jays, red-tailed hawks, red-breasted sapsuckers, black-capped chickadees, eagles, and more that grace the skies. The residents of Oldenglen, including Jax and Sarah, don’t shy away from the harsher realities of nature, including the necessity of both predators and prey. Jax in particular respects the instincts that drive the wolves to hunt and kill. Unlike many story lines featuring animal characters, Rogue Wolf is a sympathetic blend of humans and creatures, avoiding stereotypes and blanket villainizing of either hunters or the hunted. Instead, a blend of the two creates a more in-depth characterization, and allows for growth in the protagonists and antagonists alike, whether human or not. Middle-graders are sure to get caught up in the magic of The Oldenglen Chronicles as Jax, Sarah, and their growing band of wild things once again fight for the freedom of the surrounding forest in Rogue Wolf.